SITTING MAJESTICALLY at the foothills of the Sierra Madre, the longest mountain range in the Philippines is Villa Milagros Mansion and Gardens. This former ancestral home for the Liamzons has transformed itself to be the best wedding venue in Rizal and in the Philippines today. It is not only its gardens, pathways, exquisite architecture and classical modern interiors that make this place perfect for garden weddings and other intimate and social functions. It is the fact that this Mansion was a gift of love by Isidoro to his beloved wife, Milagros that makes this place truly wonderful and special. Restored to its former glory and beautified even more by the later generation of the Liamzon clan, Villa Milagros Mansion and Gardens has its doors open for those who want to experience the lovely and homey ambiance of the Mansion and to add your own story of happiness and joy to the pages of the Mansion’s history. WELCOME TO VILLA MILAGROS a place where happy memories are created and immortalized. 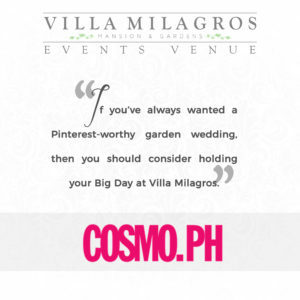 Villa Milagros is an ancestral house restored for event rentals. Four words to describe this place would be elegant, private, flexible and dedicated. Elegant - Everything from the white mansion to it’s lush gardens and banquet hall to the small hand painted details on the wall panels are an elegant display of serene opulence. Private - It is a short drive from the city and when you get to the estate it just feels like you’re in your own little fairytale. Truly different from it's surroundings and just a great feeling of privacy without being so far away from it all. Flexible - It is an all in one kind of place. They have comfortable rooms where you can rest and prepare before your event. If you’re torn between a garden party or an indoor banquet, this is a place where you can do both and still have this magical setting that isn’t a hotel. It is also flexible in a sense that you can still add your own unique flavour and style to the setting as it is a white mansion. Think of it as the most elegant blank canvas you can ever imagine. With or without your own add ons it is already elegant and it is a place that can only get better. Dedicated - It is still very much family run and a small operation but that being said, since you’re not buying into a chain type venue, the staff assigned are dedicated and will “hand hold you” if need be. The venue delivers above and beyond. It truly is a jewel in the rough with loads of parking for all your guests! Beautiful place, host is very accomodating. Hospitality of the staff is top notch. I highly recommend this place for weddings, prenup shoots and company events. Villa Milagros is a beautiful space! You can tell the owners took their time modernizing the venue, while maintaining the history and aesthetic of the original build. It was like going back in time. Perfect for weddings and special events! Elegantly Filipino, Villa Milagros is a sight to behold. I've been one of the fortunate guests who has seen its pre-restoration state and each time I visit, I am always amazed by how Andrea Liamzon and the team behind Villa Milagros has re-purposed the property to make it what it is today. If you are in awe of its grandeur, wait 'til you see the details they have meticulously put in. Truly classic. Truly classy. The place is a nice location for a pre-nupt shoot. It also seems that it is good for a wedding/reception. I would recommend this place. We hoped, though, that the price would have been more reasonable. We had our wedding there last April 12. It was a truly magical place. We were assigned Richelle as our account handler and she couldn't be more accommodating and caring. From the the pre-nup shoot to the overnight stay to the day of actual wedding, we've felt taken care of. The staff is always nearby and we've never felt underserviced. Book this place early because it's really in demand. Highly recommended. Kudos to Richelle and her team. Ambiance and the place is cool! We had a photoshoot today at Villa Milagros. The place is truly a gem near the metro. The buildings are exquisite and the different areas lends itself for an all day shooting with tons of scenic background. The staff warmly welcomed us and, throughout the day, bid us farewell like we were family. I highly recommend this place for events and photoshoots. 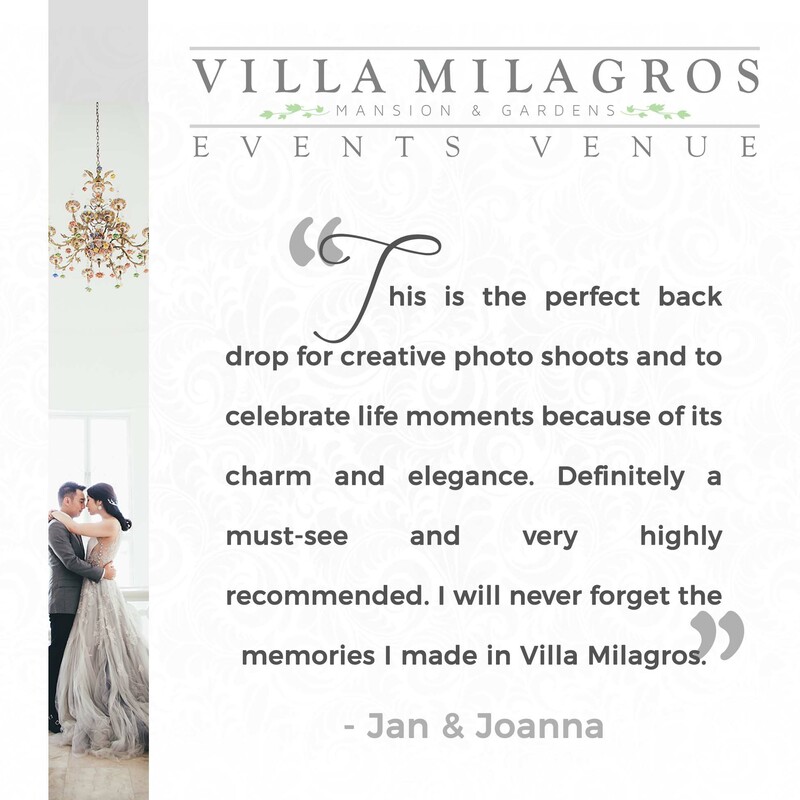 We had our prenup shoot at Villa Milagros and we're grateful to Kelly for her assistance & help. It's a perfect location - picturesque mansion, well maintained garden, comfortable & spacious prep room that made our outfit changes & make-up retouches easier. We're very pleased with our shoot and bec there are a lot of great spots in the area, we were able to finish the shoot fast. ✅ Lovely Place ✅ Convenient pre-nup shoot ✅ Definitely worth it! 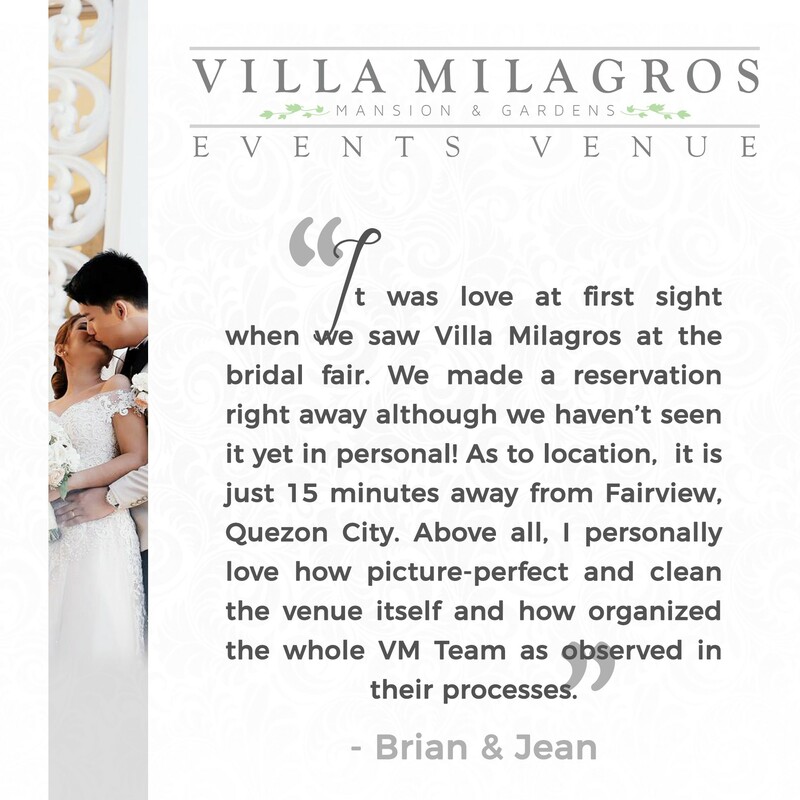 My husband and I searched for a wedding venue around the Metro but we anded up choosing Villa Milagros which is located in Rizal. It’s not too far away and the place is just stunning. We thought that having our wedding ceremony and reception in the same venue would make it easier for every one. Every aspect of the day pertaining to the venue went perfectly. We had such a wonderful time and cannot thank Hannah enough for helping us make our special day perfect for us. I visited this place as a photographer. Very serene and romantic place. Hopefully on my next visit, I will get to experience it all! perfect for weddings and debuts ang venue, napaka cozy ng place, great staff's too. My fiancé was the one who really loves the place. She kept on sending me photos and videos. At first I was really not interested because I have other prenup venue in mind. But my fiancé was very persistent that we first have an ocular before I say no. I’m glad I gave in to her non-stop request to visit the place. Villa Milagros welcomed us with this very relaxing atmosphere. It then gave me the impression that it would best fit our prenup theme which is very laid back and romantic at the same time. Miss Kelly, our AE, is very warm and friendly. She even prepared a welcome gift for us, free mangoes! She’s very quick to reply on our queries. And on the day of our prenup, she was very attentive to our needs, she made sure everything was set and we are all comfortable. We highly recommend Villa Milagros and Miss Kelly. Had our wedding reception here way back 2004 and back then the inside of the mansion was not open for events but the outside garden is really big and nice that is why we choose this place as our venue. It was great! Loved how our cake looked like when placed by the nice terrace in front of the mansion. No regrets having our venue here. We wanted an elegant , classy and glam look for our daughter’s pre Debut shoot and we were glad we have chosen VM . This place is simply beautiful, it has a rustic vibe but the lively colors used in its interiors added life and “fresh” feels which made it a perfect place for our theme. We were warmly welcomed and accommodated by Ms. Gracezel and she made us feel at home . Their excellent customer service is highly commendable. Having our daughter’s pre debut shoot here is one of the best decision ever, it was all worth it! Thank you ! Our dream come true wedding happened here last Oct. 20, 2018. 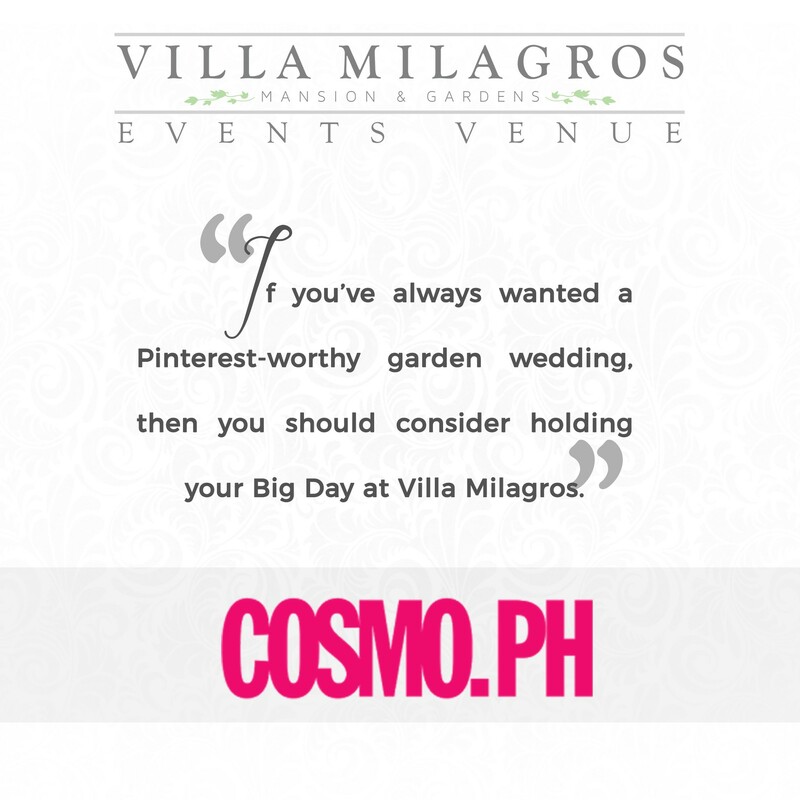 We first knew about Vila Milagros at one expo and it was love at first sight! Very classy and it also fits our classic/vintage theme. The whole place is magical, beautiful and just so perfect! Our guest fell in love with the venue too. All thanks to Ms Kelly for taking good care of us from prenup to our big day. There are house rules, kinda strict but that what makes the venue special and that's how they take care of the place. You can take pictures ANYWHERE! Because everything is just picture-perfect! We are very happy that we chose Villa Milagros to be our wedding venue as it will surely leave so many happy memories to us couple and family. Special thanks to Ms Kelly for being so patient with us 🙂 I hope we get see each other again, soon 🙂 To VM crew, thank you for your assistance during our wedding. May your place continue to make other couples as happy as we have been. Love, Mr. & Mrs. Reyes! My daughter had her pre debut pictorial here, and we are so overwhelmed with the breath taking sceneries (never thought there's a place like that in Montalban), very nice and comfortable room and to add very friendy and accommodating staff specially Ms. Hanna & Ms. Mariel. Kudos! Can't ask for more, the place is just perfect! Thanks Ms Marielle and Ms Hanna for assisting us on our yesterday’s prenup. Did the right choice of booking villa millagros, every spot is perfect for photoshoot. We had the entire place on our own which is definitely a plus plus factor. Highly recommended! A hidden gem! A mix of the old and new, well thought of, clean, elegant and simply beautiful. The service was excellent. Andrea was very accommodating and Marielle made sure that we were comfortable during my daughter’s photo and video shoot. Highly recommended venue for any event. Its a nice place and friendly staff!!! My wife wanted a nice garden event while I prioritized having an indoor venue, which made Villa Milagros a PERFECT environment for us! We used Sanse's Garden for a spacious garden cocktail and had 230 guests at The North Wing, with the buffet tables set-up outside. Our guests were generally able to roam the compound and every angle is picture-worthy - it doesn't matter if it's during the day or night. From our very first visit, we could tell that this place was very well taken cared of and full of love, benefitting from the fact that it remains an ancestral family home by the owners, which they have morphed into a lovely events venue. One downside of Villa Milagros may be the location - it's not too far but not conveniently close to any hotels. We ended up booking for us and our relatives in the Quezon City area (Luxent Hotel and B Hotel), which was an easy 40 minute drive to the venue. There are also a limited number of nearby Church options if celebrating a Catholic ceremony. The surrounding area, meanwhile, is quite rural - not a lot of tall buildings or big establishments. But, as one of our guests commented, the rural roads leading up to the venue added to the dramatic effect of entering the mansion compounds - it was like all of sudden being transported to a magical garden! My wife had visited several times and I went at least twice at the venue. The staff was extremely professional from the very beginning, responsive to our emails and SMS messages, and they were also very accommodating to our needs. We mostly worked with Andrea, the General Manager, and Kelly, our Account Executive, both of whom were awesome partners leading up to our wedding! Even though we had an off-site Church ceremony, VM let us come early in the morning at the venue for us to do our preparations there. What's great about Villa Milagros is that they only book a single event per day, so we were able to maximize our time at the mansion to do preps and take as many pictures as time allowed before our ceremony. I had my own preparation room while my then-bride and her entourage used the largest suite for their make-up, preps and pictures. Coming back from the Church, all the guests used a back gate that lead to the parking lot, while we as the bride and groom had our own VIP entrance that took us right at their lovely driveway. Even though we were last to leave the Church, we still got settled early enough at the venue because of the VIP gate entrance. 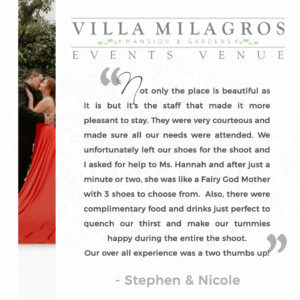 Needless to say, we highly recommend Villa Milagros to future brides and grooms out there! Amazing place plus amazing service! +Thank you so much Andrea and Kelly!!! My sister held her wedding prep and reception here yesterday and I was amazed by how beautiful this place is. Stunning and picture perfect in all corners. Very elegant. The only comment I can give and something they can improve on is to train their employees on how to be professional. The young lady who was in charge and assisted us was not polite and didn’t know how to coorinate and compromise. There were a lot of issues encountered during the prep because of her. One example is, the Photo and Video team as well as the HMUA arrived at 8am cause the prep will start at 9am. This girl didn’t allow the suppliers to enter the venue until 9am which caused delay because supposedly, the suppliers should start setting up their tools/accessories ahead of time start time. They didn’t say that they will use the room but just to get ready before the bride arrives. All unpleasant things happened and she didn’t even apologize, instead she intentionally ignored my sister who booked their full package and paid 100% before the event. What a very proud girl we have here. Tsk tsk. Beauty is in the details and that's what you'll see in this gorgeous venue. Awesome staff as well! Love the surrounding and the modern classic design. The staff are very accomodating and always ready to assist. Thumbs up for the excellent service. We really enjoyed having our prenup shoot here. We were looking for a venue, which is not yet that common and of course, had a premium feel to it. Once we saw Villa Milagros, we instantly knew it was the perfect place for our wedding! We initially booked Delia's Garden since we really wanted a garden wedding. But, the weather was not exactly cooperative. On the day itself, we decided to move everything to their indoor venue. Despite all the challenges, we were still able to pull it off! Kudos to Villa Milagros team (esp my EA Jen!!!!) for all their help before and during the wedding. I really felt their support in ensuring that my wedding will be a success! Thank you guys! We got Villa Milagros as our reception venue last december 1, 2017. The Garden is well-maintained, the chandeliers were outstanding and the mansion is very elegant. Thanks to ms. kelly for your assistance all throught out our big day. Our wedding turned out so beautiful. Highly recommended! This venue is perfect for those who are looking for an elegant, romantic and classic feel place to hold pre-wedding photoshoot or even wedding ceremony and reception. The place is clean, bright, and the staffs are accommodating. The reason why my rating is 4 is because based on our experience, they lack electric fans during that time, I am not sure, and that caused me to sweat a lot while shooting. Other than that, our experience is great and is highly recommended. More powers to Villa Milagros! We had our engagement session in Villa Milagros. We loved the preps room, very spacious. Staff is accommodating. Place is perfect for our theme. Overall it's a nice place for weddings and for prenup session. As an Event Professional, it is prime to consider numerous factors when recommending a venue. For Pre-Nuptial photo/video shoots, On-The-Day preparation place, Wedding Ceremony and Reception, I consider Villa Milagros an ideal pick. A gem, and a satisfying location indeed. Its truthful elegance contributes to an overall light, homey yet very sophisticated ambiance that will surely inspire suppliers and clients alike. They have balustrade terraces and balconies, artsy pieces of furniture, intricate designed rooms with cozy beds and sofas, well blended wall colors though dominated by clean white surroundings with lush greens outdoor. They also have an indoor reception hall majestic enough with high ceilings and glass walls. It will be a worthy visit should you find yourself intrigued. 🙂 Thank you to all the staff of Villa Milagros for pleasantly accommodating us! 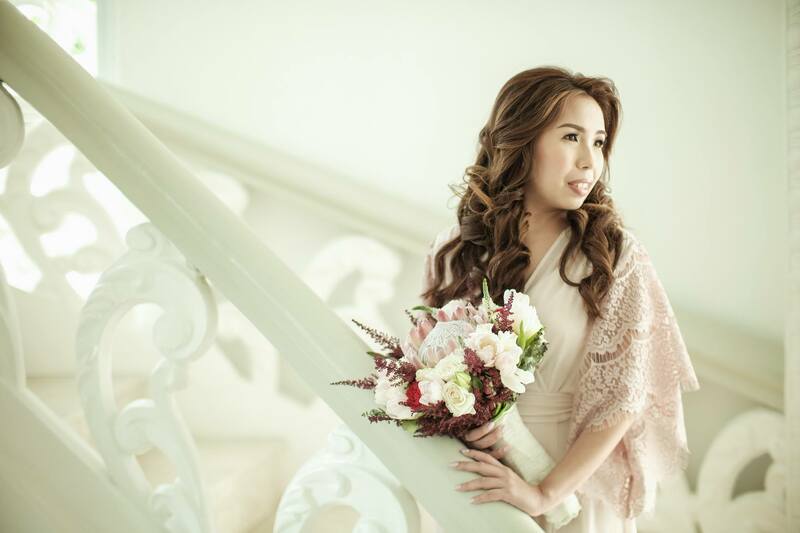 - Claudine of Love Wish Weddings and Events, CWS and Member of WEPAP. 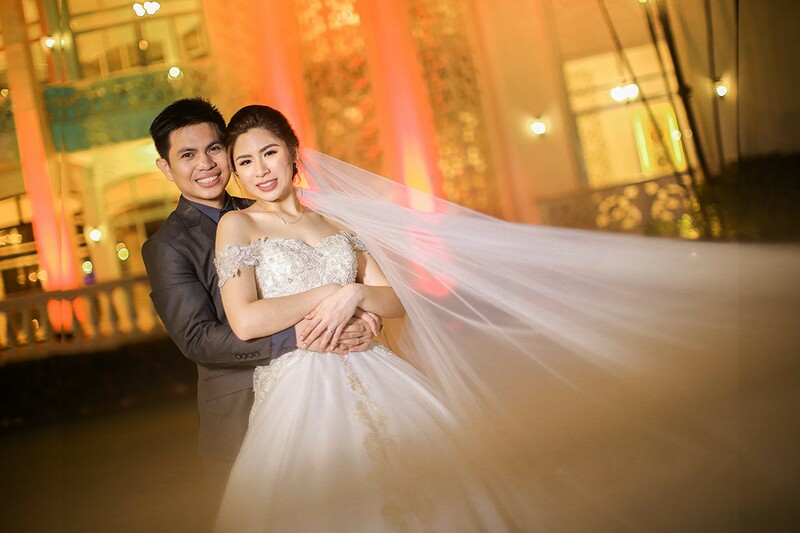 Their place is oustanding specially if you are looking for a place for prenup shoot. Very accomodating staff. Villa Milagros is a beautiful place to hold social gatherings. Situated not far from churches and the Metro. Guests and celebrants will surely find the place exciting and interesting because of its picturesque venue. When we visited the place for an ocular, we knew that this is the perfect place we imagined for our prenup photos. Classic and majestic place made perfect for weddings! Kudos to all the staff too for accommodating all our concerns. It's nice to be at Villa Milagros again and again! I love how warmth and welcoming everyone's there. The place is so elegant, neat and refreshing! Everything under one roof; preparation rooms for bride and groom, garden ceremony and their luxurious indoor reception. Check it out! Villa Milagros provided a unique setting for our special event. Highly recommended! Best kept secret of Montalban, Rizal. We spent our company's party at this venue and it went perfectly. There was ample and secure parking within the property. Every detail from the foods, drinks, sound system, etc were handled well. Nice ambiance. And the mansion just looks awesome! We had the opportunity to organize my last birthday party as well as introduce our grandaughter after her baptism rites earlier this year. The place is very spacious. The staff is courteous and responsive. There is good secure parking on the grounds. The walkways are covered so no fear of the rain. The food and drinks are excellent. From the struggles of scheduling regarding the date and time, the staff managed to give the best (and great discount as well) on my special event. And I thank them so much, Sir Chito, Andrea and Kelly- who assisted us during the said event. The white mansion inspired by the love and dedication of its family history. This really made a picture perfect place for my post wedding pictorial. 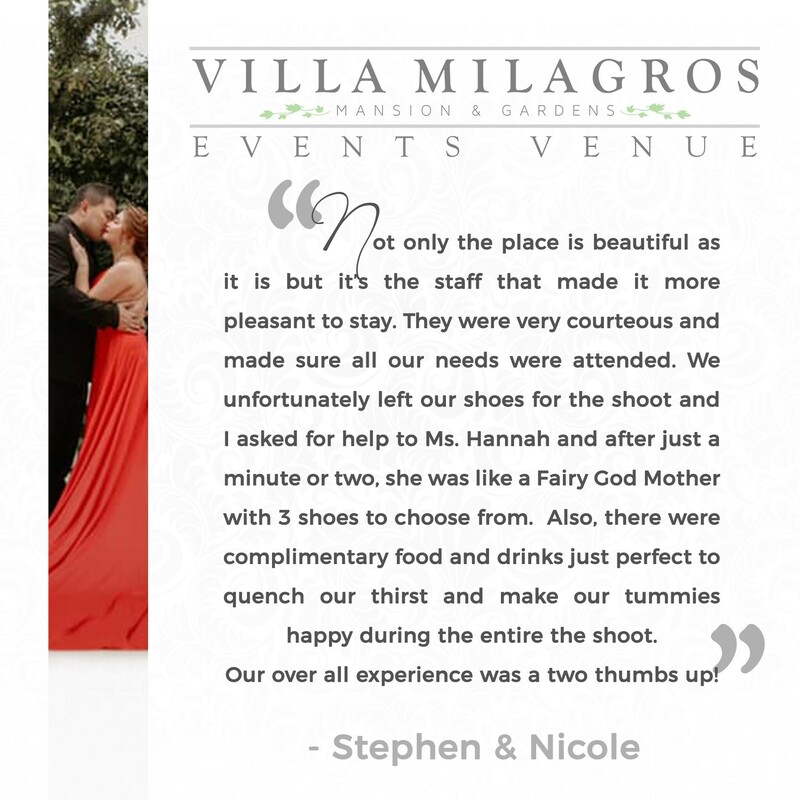 It was truly a magical moment for me to have Villa Milagros as part of my wedding. Glad that there is a beautiful and elegant place in Montalban. In time that I will celebrate another milestone in my married years, I will definitely have it in Villa Milagros. My husband and I had the once in a lifetime privilege of holding our wedding.. the very first wedding.. at Villa Milagros! From the time we made our first appointment to the last moments of our wedding celebration, the VMstaff was there doubling up as coordinators of our wedding. Special mention to Ms Ara Padilla who assisted us all the way from start to finish. Her service was excellent, and we really appreciate her efforts in assisting us during our preps. We're also very thankful to the Liamzon family for allowing us to use their home as our venue for this important milestone in our lives. Ms Andrea Liamzon was very accommodating and very easy to talk to. She 's also very hands on in dealing with clients like us, which we appreciate very much. I'm really happy we chose this venue for our wedding. Ours being their first wedding, truly means so much. It's a break from all the "Tagaytay-based" weddings we've all been going to in the past up to the present. The good thing is, it's just a few traffic signs away from the busy-ness of the city. I had the wonderful opportunity to be able to shoot our prewedding photos in Villa Milagros and it is, for me, one of the most beautiful sites I've been to in the Philippines and I've been to a lot but this one takes the cake. It is a gem in Rodriguez, Rizal--- a family estate which maintains the charm of the mid-century period it was built in with upgrades which makes it perfect for the modern era. This is the perfect back drop for creative photo shoots and to celebrate life moments because of its charm and elegance. Definitely a must-see and very highly recommended. I will never forget the memories I made in Villa Milagros. 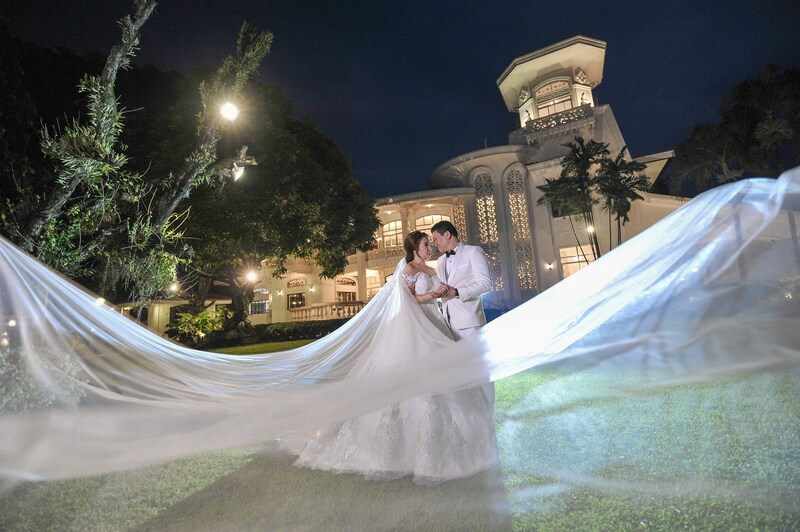 Highlights: Massive estate with beautiful gardens Perfect venue to cater to gatherings, social events and celebrations (from 50-300) Only 1-1.5 hours from Makati Complete amenities and helpful staff Easy to coordinate with Thank you to the Villa Milagros staff for an amazing experience! Rating the venue itself a 5. However, giving a 1 for CUSTOMER SERVICE. Not willing to consider the welfare of their clients. A couple my coordinator handles already backed out. My fiance and I would have been decided to get this venue but rates and discussions with us change everytime. They take back the discount they already gave us during the first couple of negotations.. They told us "hintayin nalang nila next bridal fair na kasama kami." Which we felt was quite inconsiderate and very proud of them to tell to clients like us. At the very heart of formerly town of Montalban, Rizal, lies a very beautiful and elegant mansion where you can make beautiful memories. It's a good deal.